A move to a new city is a huge stressor. In fact, the move itself is listed as one of the top 20 stressors in life. People tend to move to a new city either for a new job (another stressor), to attend college or because a spouse/partner must relocate for work. When moving to a new city also entails starting a new job or school, there is a lot to do and a lot to learn. Finding the right balance between life and work during this busy time can be a challenge, but it’s important that you keep level-headed and organized while you navigate your new city and workplace/college. Here are some pointers for getting balanced as quickly as possible. Whether it’s all work or all play, either extreme is a bad thing. Just ask the workaholic who has no downtime and suffers from a myriad of physical and emotional ailments. Or ask the college students who flunked out because “life” was more important than studies. 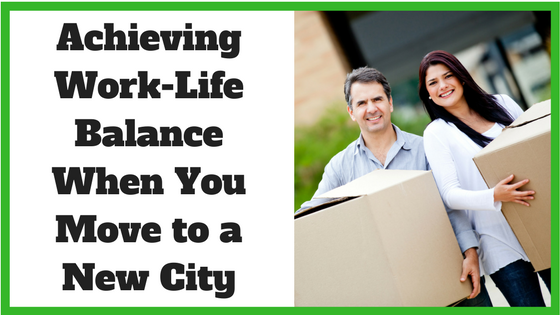 Moving to a new city has its own special work-life balance challenges and these must be prioritized too. It’s important to allocate time to be spent setting up a new place of residence, getting to know your new environment, navigating your neighbourhood and developing some social connections in your area and your new workplace or school. When you prioritize the need for balance, you will be willing to spend the time you need on each facet of your life. A personal utility curve is an economic term that relates to how much satisfaction you get from a product or service in comparison to how much it costs. As you think about work/life balance, how much satisfaction do you reach if you work 14 hours a day at a new job or spend every moment out of class studying? And how much satisfaction do you get if you work fewer hours and schedule time for self care, extracurricular activities, and meeting neighbours or fellow dorm mates? If you sacrifice a happy hour for an extra two hours of work, will that bring you pleasure? If you are writing a supreme dissertation, is getting an A rather than an A- worth sacrificing pizza and a beer with some new friends? At the beginning of each week, take a look at the tasks, appointments and assignments that need to be completed. What are the major tasks that you must complete at work or in school? Set aside the appropriate amount of time that will be required for each task/appointment each day. Take a look at the amount of time that is left. What can you do during that remaining time that will be “life-related”? Do you have enough time to explore your new surroundings? Can you join a club or organization and attend your first event? You only have so many hours in your day. While you do not have flexibility with many of them, you do with others. Focus on self-care and “life” side of work-life balance when you do have flexibility. It’s easy to get into a rut of work or classes/studying and then using downtime for “vegging out.” This means you sit around on your devices or watch TV, instead of scheduling specific activities that will orient you to the “life” part of your new environment. This can create a sense of isolation and is not productive or mentally healthy. There are definitely health consequences from isolation. Instead of plopping yourself down on the couch all weekend for a Game of Thrones marathon, get in touch with a friend to meet for a walk or a coffee, visit the library or even check out local Meetups to find groups doing activities in your area that interest you. Are there things you can do to save time on the “work” part of your day? Can you figure out a faster commute or get some work done during your commute? Can you set up any kind of flex hours at work that will give you downtime when it’s best for you? For example, can you commute to and from work during non-rush hour times? This will not only lower stress, but give you more time for “life” activities. Can you join study groups and divide up the work among several of you to help alleviate your school workload? This will not only save time but will allow you engage with others that may lead to social time in the future. If you have purchased a home in a new city, can you free up some time by hiring someone to mow your lawn? If working or in school, can you use laundry services rat your local laundromat other than do your own? Perhaps you can hire the neighbourhood teen to walk your dog. If you can afford to pay someone else to do a few things, you will have more time for leisure activities. What’s more, by creating these new connections with local businesses, you can gain new friendships in your new city. You will be much more productive and mentally alert if you eat right, exercise and get enough sleep. You will accomplish work tasks faster and with greater success; you’ll be more pleasant person to be around and you will feel like getting out and having social time once your work or school day is over. Making a move to a new city is not easy. You have a new work environment, and you have to get accustomed to that. In addition, you are in foreign surroundings and feeling a bit isolated and alone. The sooner you find ways to acclimate yourself to your new work environment, the sooner you will have time to spend on other life opportunities that the new city and new friends can provide. 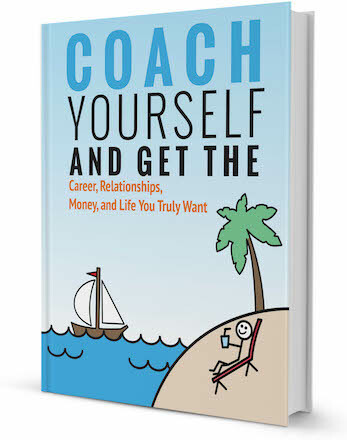 Thinking of hiring a career coach to help you make a career transition to a new city? Browse our directory of career coaches and get a FREE consultation or request a personalized coach recommendation! 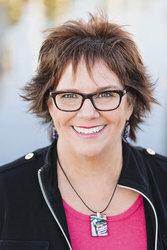 Nelma Lumme is freelance content writer. Originally from Finland, she now lives in Chicago, IL. Nelma studied sociology at the University of Tampere, and after her graduation, she worked as HR manager at the textile company. 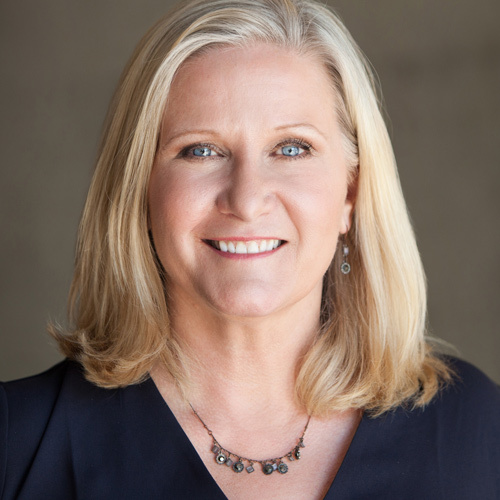 Now she helps people with career questions, providing useful tips for recruiters and employees through her articles. Her topics of interest cover mostly psychology, career development, self-improvement and relationships. You can follow Nelma on Twitter and Facebook..